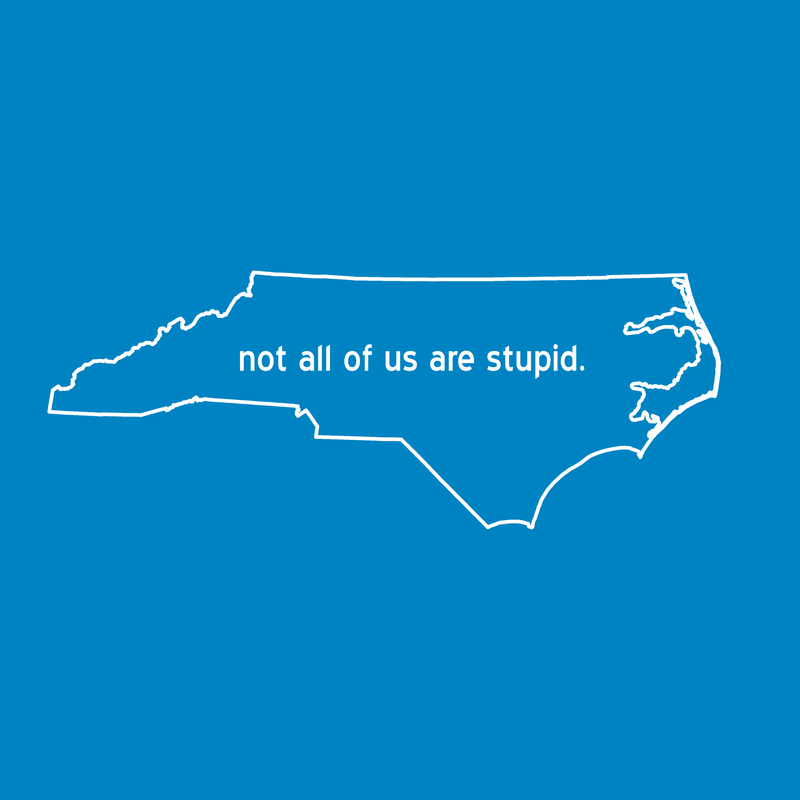 Designed and printed in response to HB2. More reasons to wear this shirt will probably be forthcoming, hopefully not too soon. We print the “Not All Of Us…” design on an ever-changing array of shirt colors. So, understand that when you order, the shirt color that you receive will be a surprise. Due to the fact that our current stock is always different, we cannot take orders for specific shirt colors. The only way to get a specific color is to visit our shop in person.